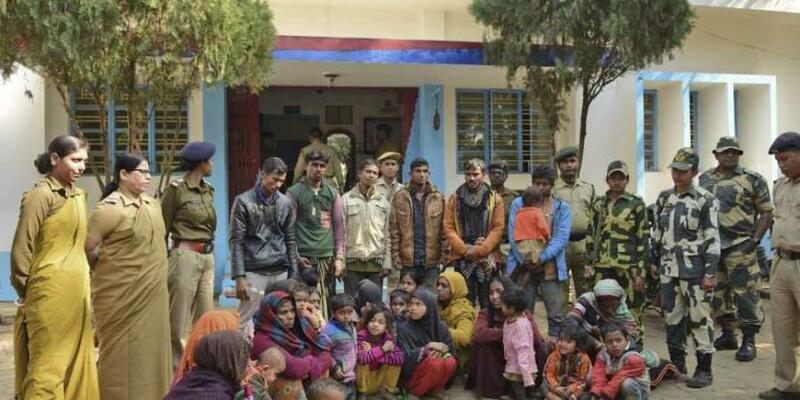 AGARTALA: The BSF handed over the 31 Rohingya Muslims, who were stranded on the India-Bangladesh border for four days, to Tripura Police, even as 30 more community members were apprehended in Assam, officials said. The 31 Rohingyas, who apparently came from Jammu and Kashmir, had been stuck in no-man's land, beyond the barbed wire fence along the Indo-Bangladesh border in Tripura since January 18. The situation had led to a blame game between the Border Security Force (BSF) and its counterpart -- Border Guards Bangladesh (BGB) -- with the two sides accusing each other of pushing them into their territories. The decision to hand over the Rohingyas to the Tripura Police was taken after the BSF and the BGB failed to reach a decision during talks on the issue. The 31 Rohingyas underwent a medical check-up and were later produced before a court in West Tripura district which sent them to 14-day judicial custody, the officials said. Deputy Inspector General of the BSF Brijesh Kumar said, "We took the matter up with the BGB and requested them to take the Rohingyas back to Bangladesh. They denied. Several rounds of talks with the BGB had failed. So, we handed them over to police." 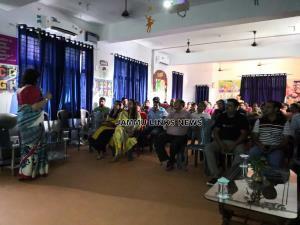 A battalion commander-level meeting was held at the Zero Line on Sunday, the officials said. Officials in New Delhi said the BSF informed the Home Ministry about the final result of the talks and gave it the situation report. After receiving the ministry's nod, the BSF signed the papers and handed over the 31 Rohingyas to the staff of the Amtoli police station in West Tripura district police at 11 am, ending the standoff with their Bangladeshi counterparts. The officials added that the state police will verify the details of the Rohingyas, and the BSF has been asked to render assistance for the task. It is suspected that these people had travelled to the border area from Jammu and Kashmir, the officials said, adding that the truth can only be established after an investigation. Pranab Sengupta, officer-in-charge of the Amtali police station, said that the 31 Rohingyas, including nine women and 16 children, were sent to the Tripura Medical College for a check-up and "were found to be alright". He said the BSF had been providing them food, water and other essentials. While the BGB claimed they had come from India, the BSF said they had not as there was no tell-tale sign of breach of the barbed wire fence on the Indian side. Meanwhile, 30 Rohingyas travelling on a Guwahati-bound bus were apprehended during regular checking in Assam's Churaibari area on Monday night, Superintendent of Police of North Tripura district Bhanupada Chakraborty said. Churaibari connects Tripura and Assam via National Highway-8. "Karimganj district police told us that the Rohingyas boarded the Guwahati-bound bus from Agartala," he said. When produced before a court, all the 30 Rohingyas were sent to jail by a Karimganj court. The police sought the custody of some of them but Chief Judicial Magistrate Abdul Qadir turned down the plea and asked the authorities to produce them again before him Thursday. In 2017, 12 Rohingyas were apprehended in Tripura and 62 more were detained in different parts of the state the next year. In October 2017, the Home Ministry had urged all states to take immediate steps to identify and monitor Rohingya refugees. It had said that the government viewed infiltration of Rohingyas from Rakhaine state of Myanmar into the Indian territory as a burden on the country's limited resources and it aggravated security challenges.